Set in the far north of England, in approximately 500AD, this is the story of the embattled Priteni. Marillier based them on the Picts, who were wiped out of history by the end of the Dark Ages. Recent archaeology reveals them to have had a sophisticated society with developed art and a deep religious belief and interest in the animals and plants around them. Marillier, as ever, weaves her knowledge and interest into a compelling story. Her version of High Fantasy pulled me back into regularly reading this genre and although there are others who do it equally well, there is no one in my opinion who does it better. Marillier normally writes in first person POV, with a female protagonist. 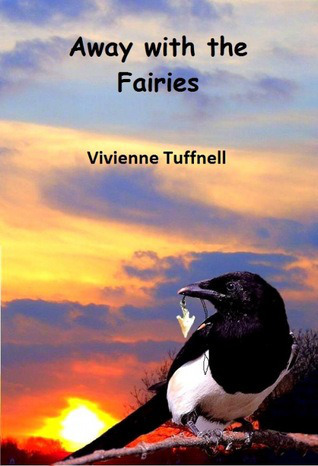 In this tale she has gone inside the head of Bridei, a young boy destined for great things. Taken from his family to live with the forbidding Druid, Broichan, in his structured household at the age of four, Bridei is often lonely and frightened. Until one freezing December night, he discovers a child on the doorstep. Bridei already knows enough to realize that she is no human baby, and immediately conjures a basic hearth charm to protect her from being rejected by the other members of the household. Fortunately the dour Broichan is away at the time, for the old man instantly dislikes and distrusts this unwanted intrusion onto his ambitious plans for Bridei and his training as a king-in-waiting. This doesn't stop Tuala growing into a fey, adventurous child who adores Bridei. He, in turn, finds that she is the only person he can confide in. But, where does Tuala fit in Broichan's grand schemes for Bridei? And what happens when she inevitably gets in his way? 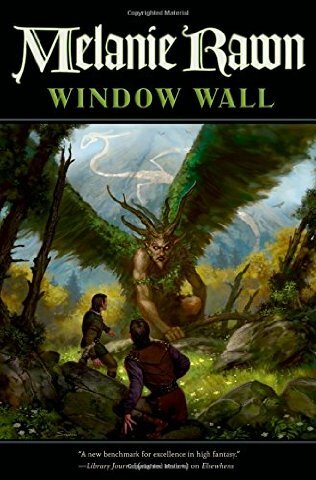 If you haven't yet encountered Marillier's excellent Sevenwaters series, but enjoy well written, tightly plotted Fantasy in a strong historical setting, then I highly recommend this book. Marillier's knowledge about the time shines through every page. Authentic details litter the everyday doings of these characters, without impeding the pace or obstructing the storyline. You won't find a host of sword-waving heroes dripping in lots of blood and gore. But when Marillier does give you action, the encounters seem all the more desperate because you really care about the characters. And war is constantly in the background. There is talk of it; discussions about how to deal with the aftermath by old warriors; long grueling hours of practice and drills. Unlike many other Fantasy tales of daring-do, however, a dread of warfare and its cost to the society is depicted very clearly by those with most to lose. Interwoven amongst the everyday, is a strong blend of magic and Otherness that fans of Marillier will recognize. The power and ability carried by a few comes at high price. Magic is about blood and sacrifice and most right thinking people avoid it whenever they can. This is a book about conflict. Circinn's king has turned to the new Christian faith, creating a rift with other rulers who still hold to the Druidic traditions. This schism creates opportunities for the marauding Gaels. But there are also tensions on a more personal level. Ambitious contenders target Bridei. High-born women destined to be married off to secure treaties and produce heirs are bitter at their fate. This is no dewy-eyed gloss on a lost, glorious past but far more political and aware. I am just waiting for the library to send me Blade of Fortriu, so I won't have to wait too long for the next slice of life in this gripping series.